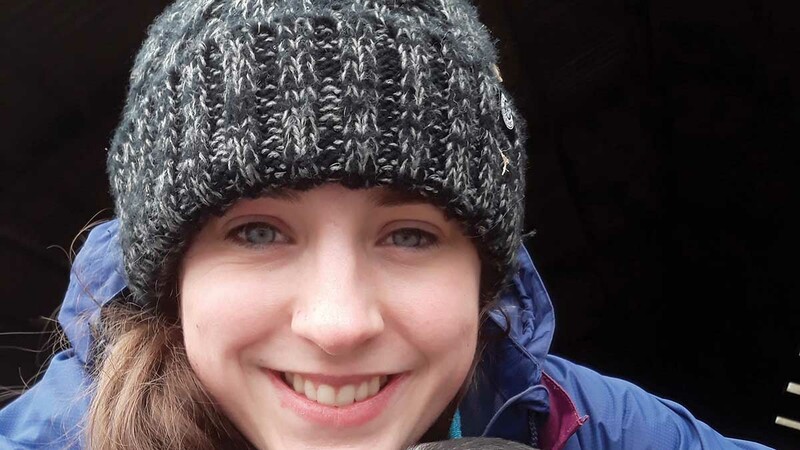 Annabel Baker, 25, is the project co-ordinator at Lantra Scotland and a vlogger for the Rural Youth Project. Day-to-day: I work at Lantra Scotland, the Sector Skills Council for Scotland’s land-based, aquaculture and environmental conservation sector. It promotes the sector as a positive and rewarding career choice, supports the development and maintenance of a skilled workforce, celebrates the achievements of learners and helps to ensure learning and training provision address industry requirements. Much of my work is focussed around the promotion of careers, which includes attending events, a key one being the Royal Highland Show. I lead on the Industry Champions Initiative, where former finalists of our Land-based and Aquaculture Learner of the Year Awards help inspire young people and new entrants to consider a career within their industries. Vlogging: I am a Rural Youth Project vlogger – or video blogger – which is an exciting opportunity. The Rural Youth Project, of which Lantra Scotland is a partner, is an initiative focused on rural youth, to better understand and support their needs, desires and challenges, making comparisons between Scotland, England, Wales and international countries. In my first vlog for the project I speak about some of the challenges and opportunities living in a rural area from a relatively new perspective having moved in with my partner on the family farm. Something I am passionate about is poor connectivity. Having access to and sufficient broadband is so important in this era of advanced technology. There are still many areas in Scotland that either do not have access at all or have to deal with poor broadband speeds. Young Farmers: I am vice-chairman of Bell Baxter Agricultural Discussion Society – a post I am proud to have been voted for having not come from a farming background, despite the Scottish Association of Young Farmers Clubs’ motto ‘not just for those who wear wellies’. I joined Young Farmers when I was 17. Last year I was club secretary and one of the highlights was the club winning the East Region Rally as well as coming second at the East Region Cabaret competition. Joining Young Farmers has been one of the best things I have done. Lambing: I have been helping out with lambing at my brother-in-law’s farm for the past five years and I absolutely love it. I get stuck in. It is one of my favourite times of the year, especially when the lambs get out into the fields and you can see them thriving. It is something I probably would never have had the chance to do had I not joined Young Farmers.